Starting in 2013 and continuing every two years, BCG researchers from around the globe gather to share information and ideas on the progress of BCG to prevent and treat autoimmunity. 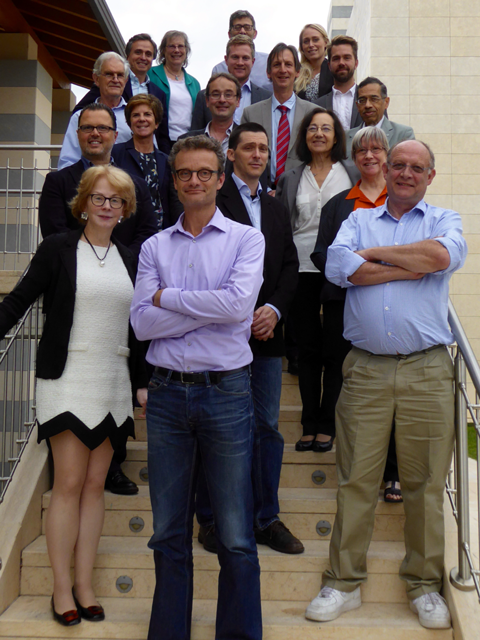 The Third “BCG and TNF Signaling in the Treatment and Prevention of Autoimmune Diseases” was held October 7, 2017 in Athens, Greece. 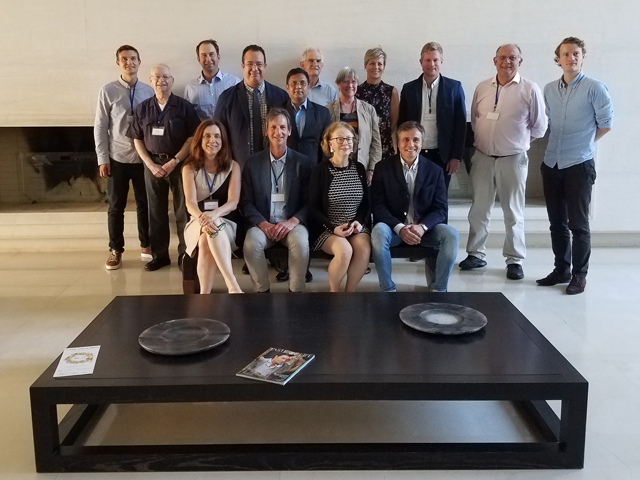 Attendees: Denise Faustman, Massachusetts General Hospital; Bruce Bloom, Harvard School of Public Health, Giovani Ristori, Sapienza University of Rome; Nigel Curtis, University of Melbourne; Christine Stabell Benn and Andreas Rieckmann, Statens Serum Institute; Thomas Nørrelykke Nissen, Copenhagen University Hospital; Graham Rook, University College London; Godardhan Das, University of Kwazulu-Nata; Rob Arts, Netherlands, Radboud Medical Center; Marila Gennaro, Rutgers University; Hazel Dockrell, London School of Hygiene & Tropical Medicine; Willem Hanekom, Gates Foundation; Russell LaMontagne, Corinth Group; Bob Glenister, Telpro. The second “BCG and TNF Signaling in the Treatment and Prevention of Autoimmune Diseases” was held October 10, 2015 in Verona, Italy. Attendees: Bhagi Singh, Western Ontario University; Matthias von Herrath, Novo Nordisk; Thomas Nørrelykke Nissen, Copenhagen University Hospital, Jesper Kjærgaard, Danish Society for Tropical Medicine and International Health; Nina Marie Birk Eriksen, Hvidovre Hospital; Nigel Curtis, The University of Melbourne; Irene Garcia-Gabay University of Geneva; Giovanni Ristori, Univeristy of Rome, Graham Rook, University College London; Federico.Martinon.Torres, Universitario de Santiago; Rreinout van Crevel, Radboud University Medical Center, Ilias Alevizos, National Institutes of Health USA; Dr Paola Zaratin, MS Foundation; Kathy Hammitt, Sjogrens Foundation, Denise Faustman, Massachusetts General Hospital; Hazel Dockrell, Dr. Hazel Dockrell, London School of Hygiene & Tropical Medicine; Matthew Kaplan, The Eoncomist; Russell LaMontagne, Corinth Group; Bob Glenister, Telpro. 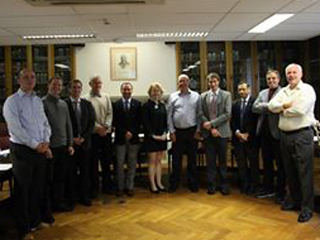 The first “BCG and TNF Signaling in the Treatment and Prevention of Autoimmune Diseases” was held October 19, 2013 in London, UK. Attendees: Bhagi Singh, Western Ontario University; Ken Coppieters, Novo Nordisk; Thomas Nørrelykke Nissen, Copenhagen University Hospital, Jesper Kjærgaard, Danish Society for Tropical Medicine and International Health; Nina Marie Birk Eriksen, Hvidovre Hospital; Eugen Feist, Charite-University; Mehmet Karaci, Bulent Ecevit University; Tor Paaske Utheim, Oslo University Hospital; Giovanni Ristori, Univeristy of Rome, Graham Rook, University College London; Daniel Leffler, Beth Israel Deaconess; Denise Faustman, Massachusetts General Hospital; Paul Burn, Sanford School of Medicine; Russell LaMontagne, Corinth Group; Bob Glenister, Telpro.